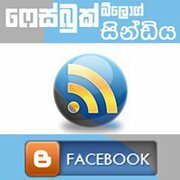 This entry was posted by Sanjaya on November 5, 2010 at 12:26 pm, and is filed under තාක්ෂණික, සිංහල. Follow any responses to this post through RSS 2.0.You can leave a response or trackback from your own site. Joomla walin wada karanna gaththa witharai..
thanx for info.. maka try karalaa balanna ona. This blog is Very good and very useful. I wish you all the best and very good bright future.